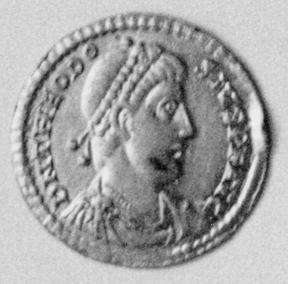 Obverse: Pearl-diademed, draped and cuirassed bust of Theodosius I right. 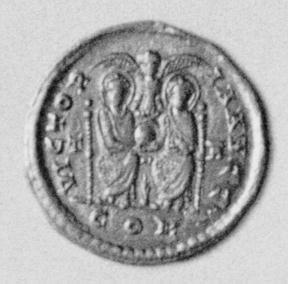 Reverse: Two emperors seated facing, together holding a globe between them. Behind and between them the upper portion of a Victory with outspread wings; between them below, a palm branch.